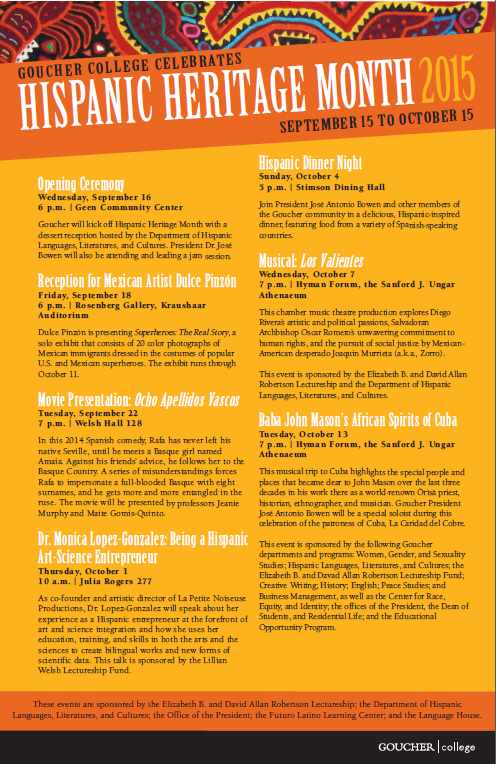 HISPANIC HERITAGE MONTH 2015!!! 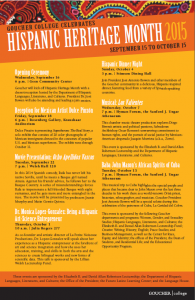 Join the Department of Hispanic LLC and the Language House Members to celebrate Hispanic Heritage Month at Goucher College! This entry was posted in Events by mgomis. Bookmark the permalink.